Finding storage furniture for living room may prove to be quite challenging t – you want it to be functional and attractive at the same time. 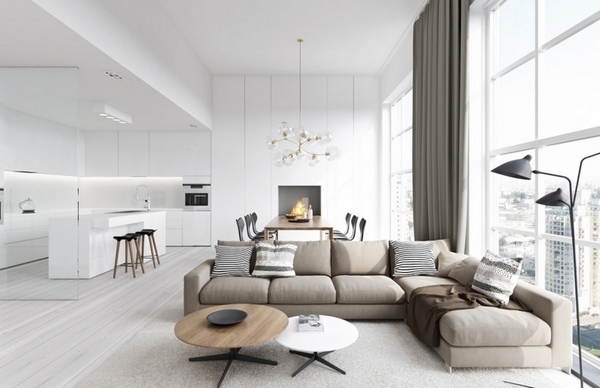 Obviousy, purchasing something practical and inexpensive wouldn’t be a problem, but integrating a storage unit into an interior scheme of your living room may prove quite tricky. Here are some pieces of advice to help you choose storage furniture living room will look great with – all in all, there are two different approaches to storing things in a living room – traditional and rather unconventional one. Modern stores are sure to offer you a wide variety of living room storage furniture. Usually, most living rooms will feature a display stand – a furniture unit designed to showcase your collectables, valuables and memorabilia, available in a variety of designs and styles, from vintage to contemporary. Another classic living room storage unit is a sideboard – intended for storing useful things – from bed linen to dining utensils, this unit can also serve as a console table or a dressing table on occasions. Books are becoming very rare in modern homes, but are still considered a hallmark of exceptional taste. Moreover, such traditional storage unit as a bookcase, may also be used as a display stand to showcase valuables, pictures of family members, vases, statuetes and decor elements you want to keep on display. Carefully selected storage boxes and baskets may not only act as additional storage units, but also as unusual and attractive accessories – for example, placing wicker storage baskets underneath a coffee table with transparent top will give your living room a cozy and homey look. Storage boxes avalable at modern furniture stores come in a mind-blowing variety of all designs and styles you can think of, so your choice will surely not be limited to rustic country style options. At times, your storage needs may require something more than traditional storage units. If you live in a small apartment or flat and don’t want it to end up looking messy and cluttered, consider multifunctional furniture or units with hidden storage. Shelving units are great examples of multipurpose storage furniture living room can benefit from. These units may include open or closed storage compartments and can be used as room dividers if you want to split up your living room space. Otherwise, you may want to consider purchasing stools, benches or ottomans with hidden storage – there are plenty of such products in modern furniture stores . For example, a bench with storage unit and a build-in shelf will provide additional seating space with hidden storage options – apart from giving your living room an unusual look. Stools, ottomans and benches with hidden storage are available in many styles and colours, for examle, it is possible to find leather units, if you fancy more classic and reserved look. As you start looking for storage furniture for living rooms online, make sure you shop at big and reputable local stores, that have a showroom you can pay a visit to. Shopping locally will ensure timely delivery and a showroom will help you check out the quality of an item in question. A great example of such UK store is Furniture in Fashion – not only do they match the above mentioned criteria, their pricing policy is also very moderate and competitive.